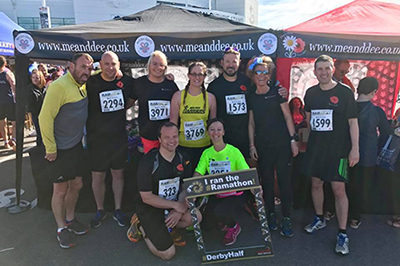 On Sunday 4th June, Yvonne, together with a team of runners, took on the Ramathon challenge – 13.1 miles through Pride Park, Derby’s city centre and Elvaston Park to raise money for the Me & Dee Charity. The Me & Dee Charity provides holidays by the seaside in Mablethorpe, which cost £200 per family. They offer families – who may have a loved one living with a life limiting condition and an uncertain future, the chance to spend time together. With a private beach hut and individual support for life-limiting conditions, the focus is on ensuring that the time spent together is enjoyed and made memorable. Maria Hanson MBE, the founder of the charity, said, “We are thrilled that so many people have chosen to join forces to support the Maria Hanson Foundation. Having set up the charity eleven years ago and since helped more than 2,000 families, it is clear that there is a real need for families and friends to get the chance to make special memories when time is limited. 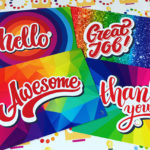 The money raised will have a significant impact on people who need this opportunity now and we are very grateful for their support”.